Experience the Power of Higher pH! Maintaining proper pH balance in the human body is a critically important for good health. Efficient metabolic processes and proper system functions are highly dependent upon the body maintaining a very precise level of pH in the blood, intercellular tissues, and muscles. When so much of our food supply is processed and filled with additives and preservatives, sugar and just all around junk, instead of buffering the acid produced by aging, we actually exacerbate the situation by dumping more acid into our systems… moving us further and further away from alkalinity. And even though organic foods keep us from being poisoned, they can’t keep us alkaline if the alkalizing minerals we need are no longer in our soils. If you’re sick of not having the health you deserve, and not being able to make it stick… It’s time to end the frustration! 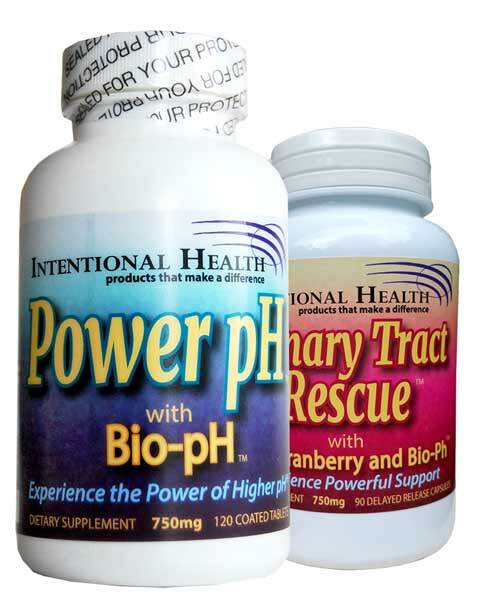 Power pH with Bio-pH is the answer for delivery of the most powerful, proven, and bio-available alkalizing elements for maintaining pH balance. For over a hundred years, researchers, doctors, and scientists have all come to a common conclusion. Acid in the body, if left imbalanced, will have perilous, chronic effects. Bio pH – It's Different! Unlike other alkalizing products, we use the hydroxide form of magnesium and potassium with calcium carbonate as the carrier for the strongest alkalizing effect in the body we know.